After reaching an all-time record high opening price of $133 yesterday, AAPL today beat its intraday trading record, surpassing its previous record high set back in 2015. Yesterday we noted that the stock opened at an all-time record high of $133.00 after Goldman Sachs raised its target price for the stock. Goldman cited the highly anticipated iPhone 8, raising its 12-month target for AAPL stock from $133 to $150. While that was a record for when the market opened yesterday, it didn’t until earlier today beat its overall record of $134.54 during intraday trading that it first set back on April 28, 2015. At the time of writing Apple’s stock was at $134.67 and climbing, giving it a market cap of over $712B. 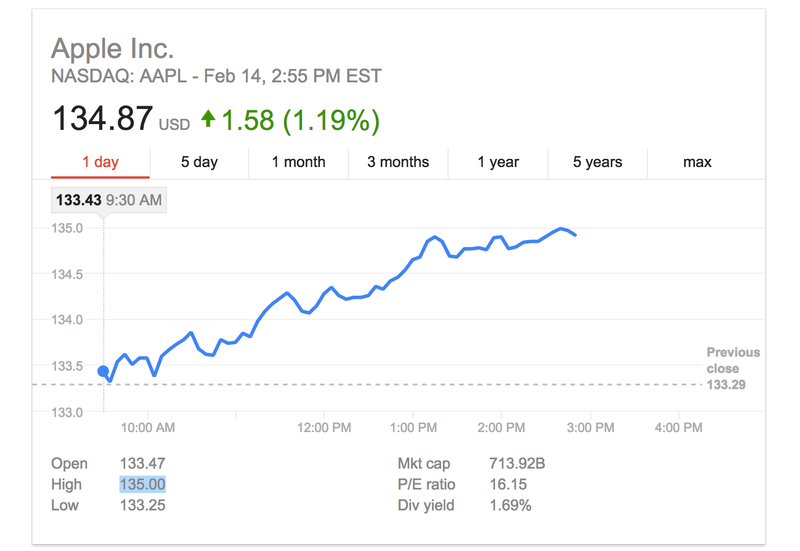 Update: AAPL has now reached a high of $134.70.